Sabreena El-Amin is an Associate in the Chicago, Illinois, office of Jackson Lewis P.C. Ms. El-Amin represents employers in a broad range of employment issues, including restrictive covenants, discrimination, retaliation, leave, reductions in force, whistleblower and wage and hour. During law school, Ms. El-Amin was an editor and contributor for the Harvard Journal of Racial and Ethnic Justice. She also participated in multiple clinics, working for the Chicago Committee for Civil Rights Under Law and a small law firm tackling police brutality and employment discrimination in the Greater Boston area. Ms. El-Amin also worked as an intern during law school handling employment and medical malpractice matters at the Department of Health and Human Services and served as a judicial extern for the Honorable Ann C. Williams in the U.S. Court of Appeals for the Seventh Circuit. 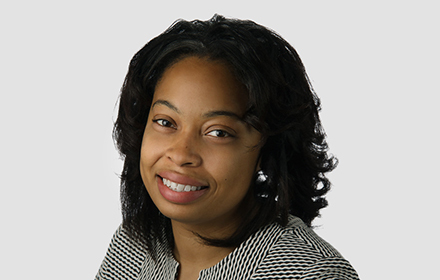 Prior to joining Jackson Lewis, Ms. El-Amin practiced management-side employment law at other large firms in the Chicago area.